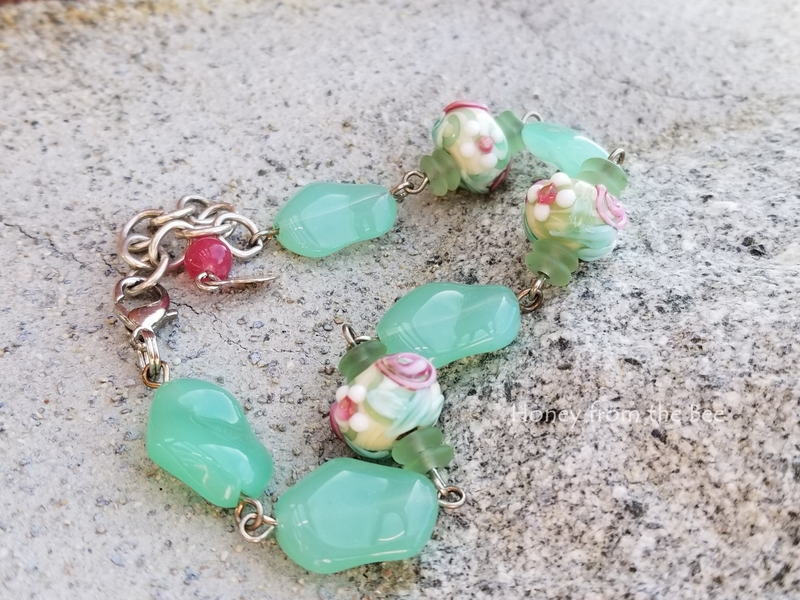 Fresh sweet rose lampwork bracelet for the flower lover in your life. 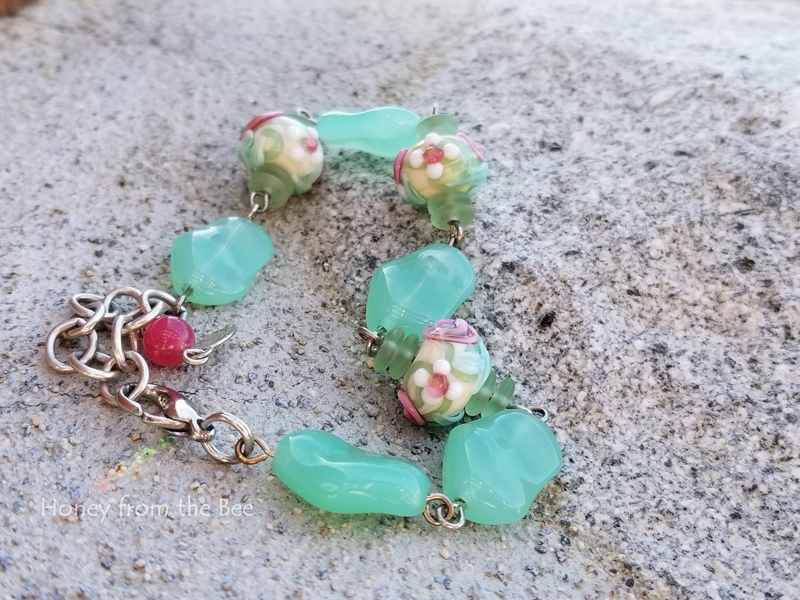 Organic shaped glass beads of a color reminscent of those Fire King Jadite coffee mugs make this garden of a bracelet glow. 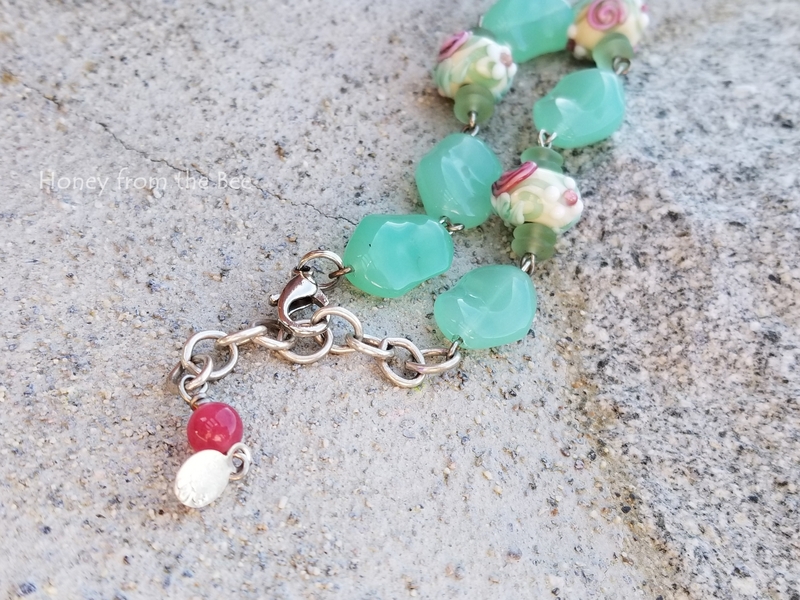 U.S. made lampwork beads with a rose pattern are as sweet as can be. Adjustable from 6.75 to 8.25 inches with Sterling Silver extenstion chain and lobster clasp.